BT has finalised a deal worth £12.5 billion to buy network giant EE, stepping firmly back into the mobile market and looking to create a 'seamless' service for its customers. 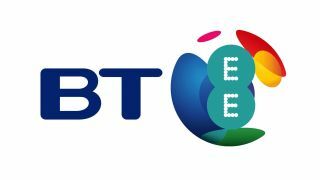 Since it sold O2, BT has focused on its fixed line and broadband services, but has now deemed the time right to extend its service back into the mobile sphere. "This is a major milestone for BT as it will allow us to accelerate our mobility plans and increase our investment in them, explained BT chief executive Gavin Patterson. "The UK's leading 4G network will now dovetail with the UK's biggest fibre network, helping to create the leading converged communications provider in the UK. Things won't change overnight though, with the deal expected to be fully finalised at the end of the next financial year, ending March 2016. It's still got to go through the competition commission too, which could throw a spanner in the works. The money will go to the joint owners of EE, Orange and Deutsche Telekoms, who will own 4% and 12% stakes respectively in BT as part of the deal.